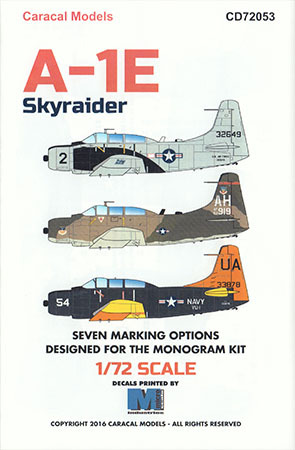 Here is the latest release from Caracal Models for the venerable Monogram 1/72 A-1E Skyraider kit. 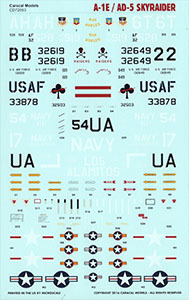 This set provides seven examples wearing distinctive markings. 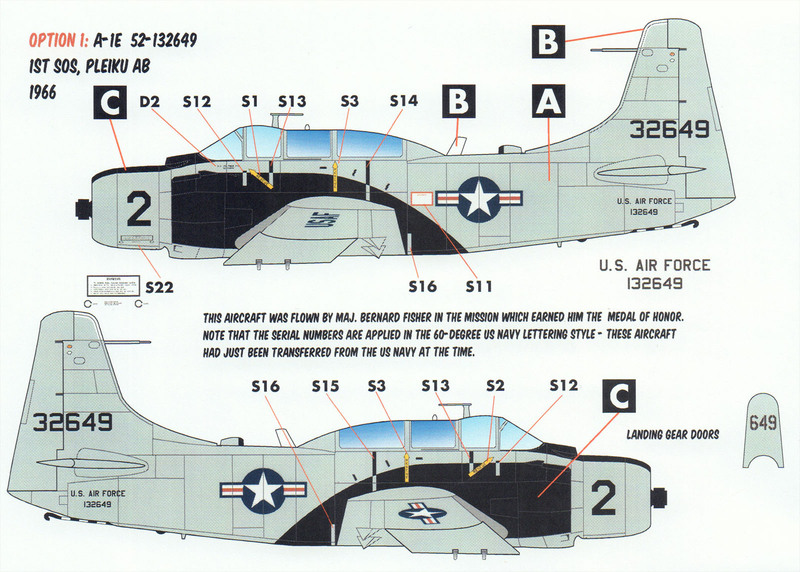 The markings are nicely printed (by Cartograf) and provide national markings, distinctive markings as well as a nice set of airframe stencils. The decals are all single-layer - none of them require you to stack one decal atop another to recreate complex art as with some other decal manufacturers.